is possible to do a keyboard to cross platforms as like the photo ? I asking for complete DNI.! 1) Disable the SoftKeyboard. So it doesnot pops up when you are trying to type something. 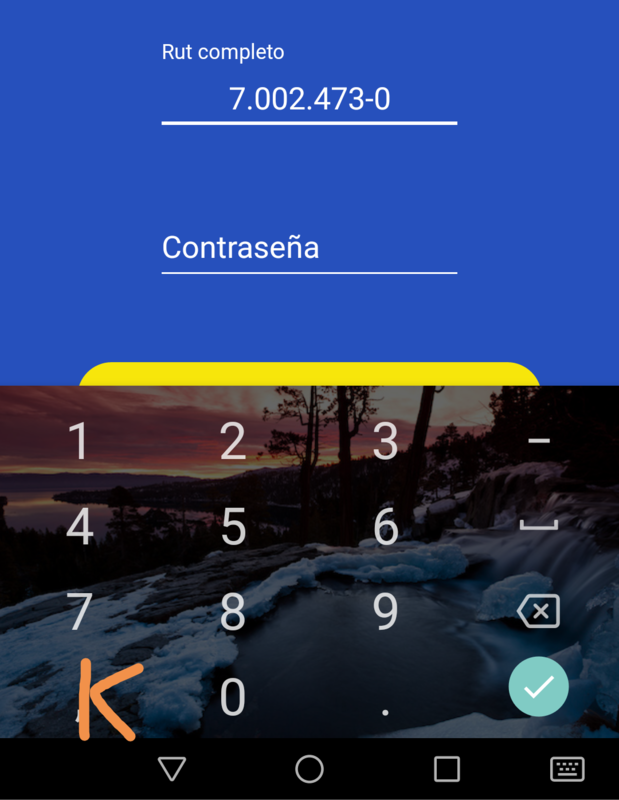 You may end up in creating EntryRenderers to achieve this in both iOS and Android.So that default SoftKey never shows up. 2) Create a Modal(pop up) , that opens on tap of your entry control, Add a nice Animation(Easing) to it. Provide the Translation so that it shows up with animation from bottom to top(or what you like). 3) Create content of this Modal as per your choice. The keys/items you want in your keyboard. The number keyboard can't have a customization? *How u can render softkeyboard ? And this isn't native control , so can make render to hide softkeyboard? Is possible? How u can render softkeyboard ? I am not sure about xfx controls. Well but Entry cotrol has textchanged event ,focus event etc. So On focus you may try it. but I think setting it globally will be better, that is somewhere(oncreate) in main activity in android and AppDelegate in iOS.